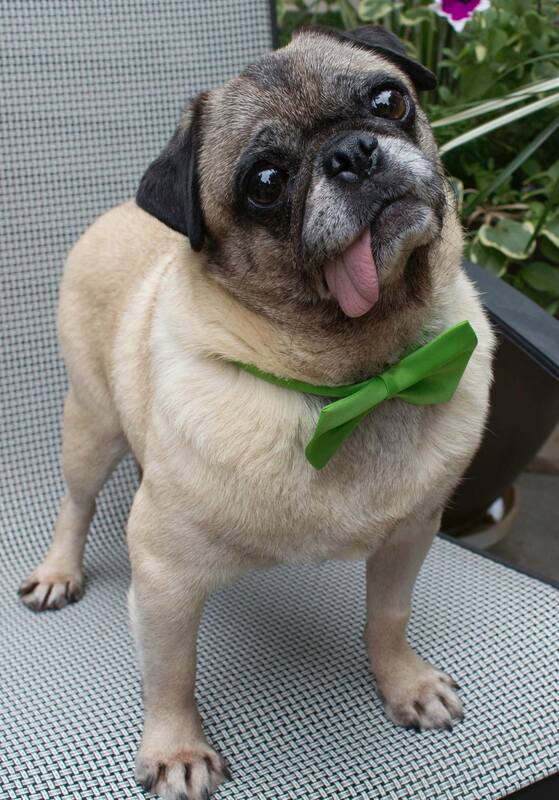 Eva Marie Saint – Adoptable through Pug Partners of Nebraska! Dislikes: Sudden movements are still scary, but working on that, too! Pure and absolute sweetness. Eva Marie is an easygoing lady pug with so much love and affection to share. Her first steps on grass were quickly followed by a lovely roll. She is enjoying her freedom from the mill. She likes to be with her human and is a follower. She’s mellow and easygoing with all fur friends she’s met – cats and dogs – with a friendly curiosity. Eva Marie doesn’t jump up or down and may not be able to, but she is able to go up and down steps. She is crate trained but the bed is pretty comfy and snuggling is so nice. 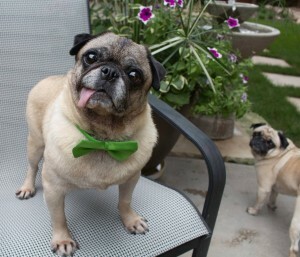 This beautiful girl has had a long, rough time in the mills and is perfectly ready to enjoy the sweetness of pug retirement – and she deserves the best it can offer her. She’s a low energy girl, wonderful companion with the loveliest of personalities. She is a class act. Interested in adopting Eva Marie Saint? 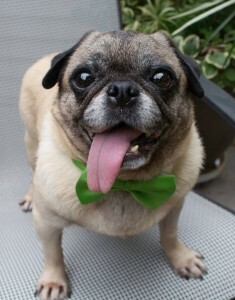 Please see our website and fill out an application at: www.pugpartners.com/adoption-application Eva Marie Saint’s minimum adoption donation is $275.